It would be a brave person who thought the Chancellor’s decision not to proceed with major reforms to pensions tax relief might free up Wednesday the 16th for a nice lunch. That’s not because the move wasn’t a welcome one. Quite the opposite. A pension ISA would have been a huge gamble with the future of retirement saving in this country. The ABI spent months arguing both in private and in public not to go ahead with it and we are pleased the Government has listened. Indeed this decision is testament to what the industry can achieve when it speaks with one voice using a comprehensive and well researched evidence base. Of course some have argued that the EU referendum was behind this decision, so does that mean we only need to keep one eye on the Budget now? Of course not. In fact I think it would be a serious misjudgement to interpret the pension tax delay as somehow indicative of a Chancellor set to play it safe. Good Chancellors know this is a moment to grasp, not recoil from. So what could be in store for the insurance and long term savings industry this time? I worked at the Treasury during the coalition years and in that time there was no such thing as a safe Budget, even when many were calling for one. When the Lib Dems pushed hard for a low-key Budget two months before the 2015 general election, the Chancellor soon made it very clear that wasn’t on the cards. For all the risks they entail, the Budget offers a unique opportunity to set the news agenda and get the whole country talking, even if it’s just about how much beer duty has gone up by. The correct answer is I don’t know, and nor does anyone outside a small circle of aides and officials. Despite some perceptions, Budget information was already tightly guarded under the coalition. 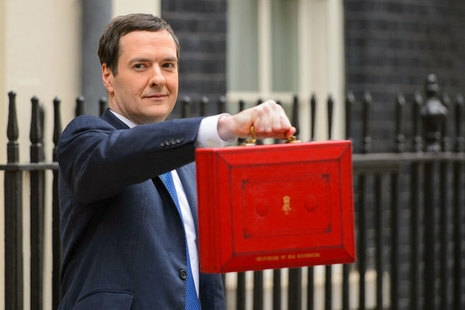 It is even more so now the Government is freed from the processes in place to agree Budgets across the coalition. Snippets aside, few Ministers outside the Treasury will really know what he is set to announce. Some Ministers inside the Treasury may not even know. The ABI would vehemently oppose a further increase in Insurance Premium Tax that hits hardest the customers who are behaving most responsibly. Thankfully we can all speculate on what are, to borrow a phrase, the known unknowns. High on this list is Insurance Premium Tax, because the Chancellor has shown his preparedness to increase this and it’s likely he has to raise more money if he is going to meet his fiscal targets. That’s why the ABI has spent the past few weeks and months campaigning strongly against this. The ABI would vehemently oppose a further increase that hits hardest the customers who are behaving most responsibly. Then there are the unknown unknowns, the decisions you just can’t see coming. These are more numerous than many in the media or industry would care to admit. The Pension Freedoms is a famous example, a huge reform kept secret right until the Chancellor spoke the words. It is part of a long list though, one that includes the National Living Wage, cutting corporation tax to 20%, introducing Help to Buy and far reaching reform of Stamp Duty. In Westminster these are called rabbits because they are meant to surprise and dominate the news. We won’t know what the Chancellor’s rabbit is or if it will impact on the insurance and long-terms savings industry until next Wednesday. But one thing’s for sure, there will be one. There always is.